If you liked this show, you should follow Moderator Leroy McKnight. 2000 LAS VEGAS CASINO WORKERS JOIN THE UAW. 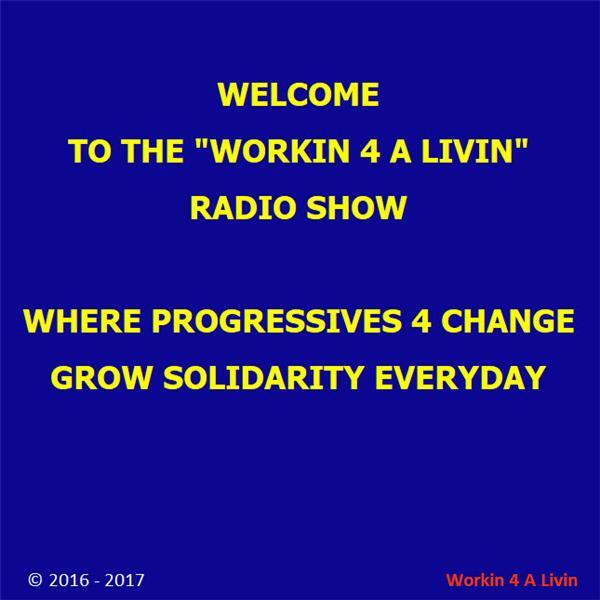 Please join Co-Host Jeff Brown, with Moderator Leroy McKnight, tonight at 7:00pm edt, and by podcast any time thereafter; where these “Progressives For Change Offer Opinions That Matter”. Workin 4 A Livin is about the meaning of work for men and women from all backgrounds - in the union and non-union jobs - who are working for a living every day at their job. For them to get the latest union news, to discuss and learn about the meaning of work within labor unions. We invite you to find us, our podcasts are on I-Tunes, Stitcher, Player. FM and Blog Talk Radio; and can be found on the top right of our website “workin4alivin .com”.